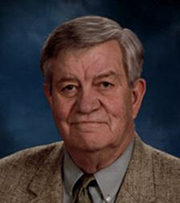 James William Goody, died unexpectedly at his home on February 24 at the age of 81. James was born on January 18, 1938 in Amsterdam, New York to Albert Peter Goody and Hannah Cline Goody. Jim grew up in Tribes Hill, New York and attended Fonda High School where he lettered in several sports. After completing two years of studies in graphics and advertising at Mohawk Valley Community College in Utica, New York, Jim heard the call to soar the blue skies. He was accepted into the Naval Aviation Cadet Program (NAVCAD) in November, 1959, and graduated from pre-flight training in 1960. The next year, Jim was commissioned as an Ensign, took leave, and went home to marry his highschool sweetheart, Gretchen Ruth Schroder, on June 24, 1961. Upon graduating from Maintenance Officer School, he, along with his squadron leader, flew the first two F-8U Crusaders down to VU-10 based at Guantanamo Bay, Cuba. He remained there until the squadron was temporarily transferred to NAS Roosevelt Roads, PR during the last months of the Cuban Missile Crisis. His last duty station with the Navy was as an instructor pilot in Kingsville, Texas. Following his Naval service in 1966, he was employed by American Airlines and flew a variety of aircraft for American until his retirement as Captain in 1998 at the age of 60. His last assignment before retirement was flying the Airbus to Paris, France, with Gretchen aboard. After completing his service in the Navy, his career with American Airlines brought him to New England where Boston became his base. In 1975 he moved to “The Farm” in East Andover with Gretchen and their five daughters. Together, the family thrived with the daily wonders and challenges of living in a circa 1783 colonial homestead. They raised a menagerie of farm animals and were sustained by their huge garden, berry bushes, fruit trees, a lot of humor, fun, and laughter. They shared a zest for living the good life. Jim was generous with his time and know-how and was committed to serving his community in a multitude of ways throughout his life. He was an active member of The Andover Congregational Church for many years, served in the Andover Lions Club in a variety of leadership positions, including serving on the District Governor’s Cabinet. As a Lion, Jim possessed a strong commitment to working on projects and fundraisers, particularly eye screenings with school children and annual lobster bakes. He was known to deliver dozens of roses around town to anyone he thought he could cheer. He was a member of the American Legion, like his father before him. He served as Service Officer of Post 101 in Andover. He was thoughtful of others in small and momentous ways. Jim dubbed himself “facilitator” of “Heron’s Walk Farm” and adopted the credo “to help those in need”. Indeed, he helped and brought joy to many people in his lifetime. During his long, robust life, Jim enjoyed flying, traveling, time with family and friends at Charley Lake in the Adirondacks, telling stories and singing around the campfire, gardening, sports, fishing, riding his Harley, tinkering with engines, woodworking, baking bread and creating the best bowl of bean soup you’ve ever tasted. He loved maintaining the farm and caring for family, friends, and neighbors. With his tall, lanky frame, vivacious personality, robust laughter, and booming voice, “Big Jim” appeared larger than life to those who knew and loved him. Jim was predeceased by his parents, older brother, Charles P. Goody, a sister-in-law, three nieces, and a great nephew. In 2003, he lost Gretchen, the love of his life and wife of 42 years. She was the North Star in his sky. Surviving family members include his “Starting Five” and their families; Beth Goody, Jason Cyr, Lucky, Tessa, and Baylee of Maine, Kim Goody, John Munson, Antonia and Hollis of Vermont, Shenny Goody and Sharon Brock of Texas, Tina Goody Choe, Keith Choe, and Kyle of Florida, Kathy Goody, Sarah Matchett, Brook, Beryl, Dexter and Murphy of North Carolina, two sisters-in-law, a brother-in-law, several nieces and nephews, and a stellar collection of lifetime friends and neighbors. A “Celebration of Big Jim’s Life” is being planned for this upcoming summer. The date, time and location is to yet to be determined. 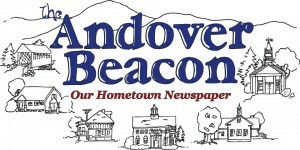 In lieu of flowers, please send donations to The Andover Lions Club, Andover, New Hampshire. To sign an online guestbook, please visit www.chadwickfuneralservice.com.